Growing old has its own perks. You get to live in different eras, experience several cultures, and meet multifarious sets of people. Also, you get to see your great-grandchildren (and even further)! Despite the incomparable bliss old age brings, there are struggles that are undeniably existent. One of which is that, when you hit seniority, you can no longer live on your own. If you have loved ones who are 60 and up, better recommend them our care. 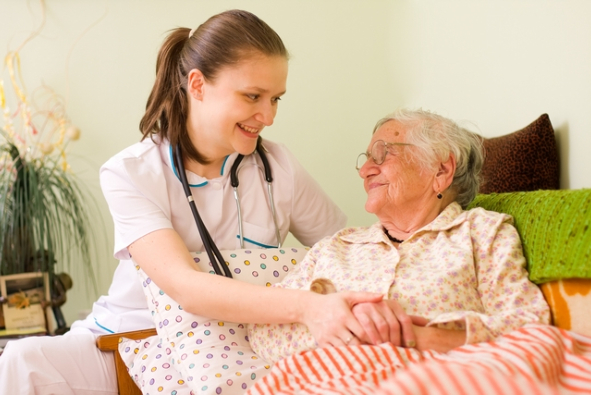 Ontime Home Health Care Staffing Agency LLC is an excellent provider of Personal Care Services in Cleveland, Ohio that will make sure all their needs and other concerns are addressed completely. Mobility is a predicament faced mostly by seniors. Without enough strength to keep themselves straight and moving, they have no choice but to lie on a bed. As clinically found, lying down can cause a certain type of ulcer and chronic pains that agonizes the old-timers. Are your senior loved ones having extreme difficulty in seeing things before them? That is a strong indication that supportive caregivers are already necessary. You cannot allow them to wander to places they cannot identify and leave them to eat by themselves and get choked or poisoned. Forgetfulness is normal. Though the human brain is one of the fastest and smartest brains in the animal kingdom, it can still falter and reach certain limits. When seniors forget to eat their meals and take their medications, currently existing diseases may worsen. Being unhygienic attracts unwanted elements like viruses and bacteria. Considering the immune system of senior citizens, getting sick with normal flu or fever may already spell disaster. Homes are supposed to be tranquil and relaxing. However, the peace offered by homes can be breached by simple accidents. An example would be wet bathroom floors. Without proper assistance, one may fall and acquire injuries. Hiring somebody to make sure that the oldies reach the sink is favorable. Being alone for a long while takes a huge toll on a person’s mental health. Since seniors became extra sensitive when they grew older, having someone to confide their feelings and thoughts is therapeutic. After all, we are social animals and such human trait does not fade when our hair turns gray. Our Home Health Care treats inferior service as a mortal sin! So, if you think one of our caregivers is failing to give the service your money is worth, you are welcome to report this complaint to us. For all your concerns you may contact us via 440-353-1012 or ontimehhcsa@yahoo.com. This entry was posted in Health Care and tagged Home Health, Home Health Care, Home Health Care Service, Ontime Home Health Care. Bookmark the permalink.